Hello! I'm back after a little hiatus of client work, re-branding my business and re-designing my site in Squarespace! I'm sooo excited for the upcoming changes and offerings happening at EverMint. And to kick things off, I'm offering an awesome February Freebie! 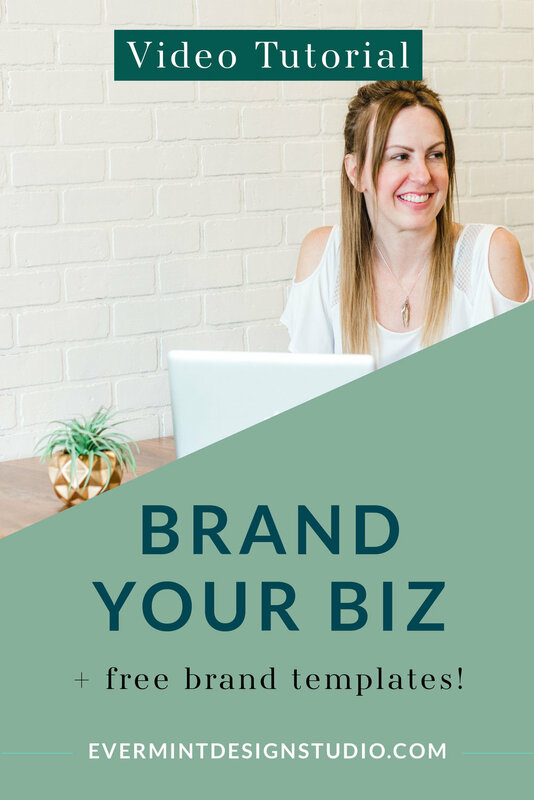 Often times, when you are starting a new business (or trying to re-fresh your current business brand), just getting started is the hardest part. I mean, with all the excitement of the day-to-day work you're doing, plus wearing all the hats of being a business owner, things can get craaaaaayyyy-zzzyy! You're the accountant, the office manager, the administrative assistant - all rolled into one! Plus, then there's client work - which is the sweet stuff that you love to do. We all can't be *all the things* so this is why you're gonna love my February Freebie - a business card + social media templates, that you can easily customize for your biz. Now go cross one thing off your to-do list! My design is called "Ashby Grace Photography," a chic feminine brand with a soft color palette (pink, plum and black, accented with white space) and geometric shapes. I see this brand being a good fit for photographers, event planners, make-up artists, stylists, fashion bloggers, interior designers and more! - Social Media Templates (Photoshop Files: 1 sized for Instagram + 1 sized for your Blog Post). Just edit these in Photoshop and re-save to use! YOU GUYS! I'm so excited to see you customize and use these for your biz. If it makes your life just a little bit easier, that is my goal. - The Fonts: Download them here: Mocking Script and Geometria Light . However, feel free to use other fonts as you please. Just fill out the form below, download and save the ZIP file to your computer, and double-click to unzip the folder and view the files. Then watch the tutorials above to learn how to customize the templates in InDesign and Photoshop. If you end up using the social media templates for your biz, please share links to them in the comments - I'd love to see them in action! **Please note - Since I am offering this Biz Pack as a freebie, please do not re-sell.